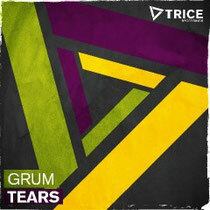 With ‘Tears’ already seeing support from Pete Tong, Annie Mac, the Buzz Chart and the Cool Cuts Chart, this new single from 'Grum' is could be a big one too for Trice Recordings. ‘In Love’ stepped things into the main room with Pete Tong, Axwell and EDX getting behind him and now with ‘Tears,’, Grum casts his net wider still with an ideal festival record that nods in the direction of ’90s acid house, but, as Grum has repeatedly proven with his production skills, brings it firmly into the here and now. It’s out 14 April on Trice Recordings, have a listen to it below.